Something Fishy :: Aquarium Supplies :: Food & Feeders :: San Francisco Bay :: San Francisco Bay Frozen Mussel Cube Pack 3.5oz. 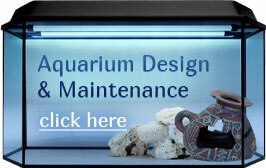 Home :: Aquarium Supplies :: Food & Feeders :: San Francisco Bay :: San Francisco Bay Frozen Mussel Cube Pack 3.5oz. 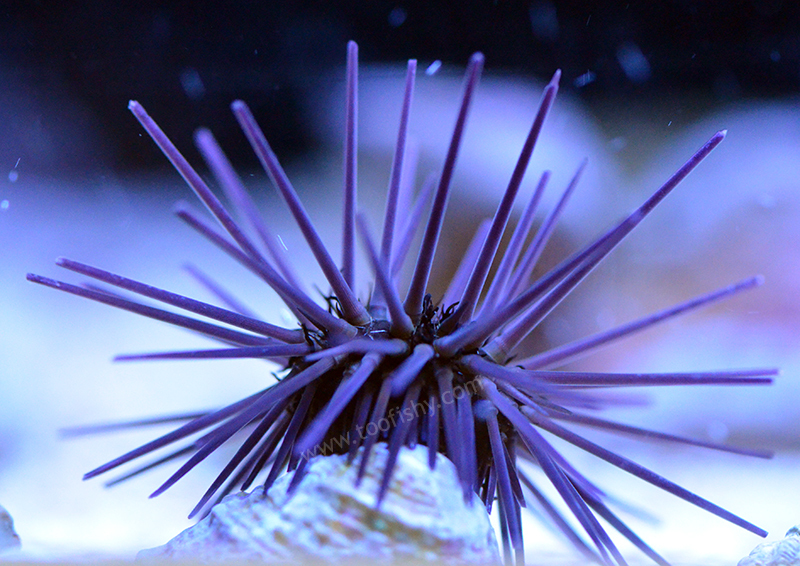 San Francisco Bay Brand® Sally's Frozen Mussel™ are a favorite for a variety of marine fish and invertebrates. 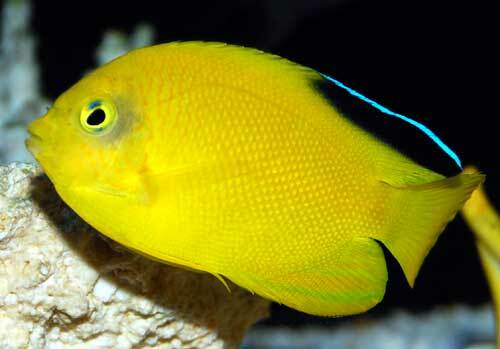 A great secondary food that promotes growth and is eagerly eaten by boxfish and puffers. 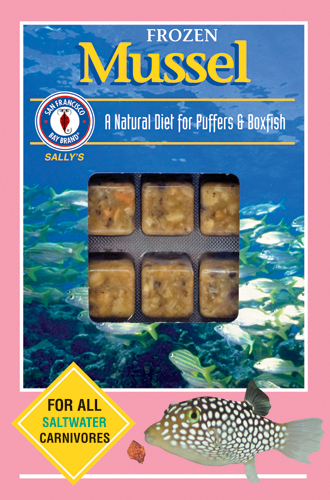 SFBB Sally's Frozen Mussel™ provide the essential nutrients to maintain high energy levels and vigor in your fish. Directions for Use: Break off desired portion from packaging and thaw in cup. Add vitamins, garlic and/or Selcon and allow to soak for 10 minutes. Strain through mesh net, then put in aquarium. 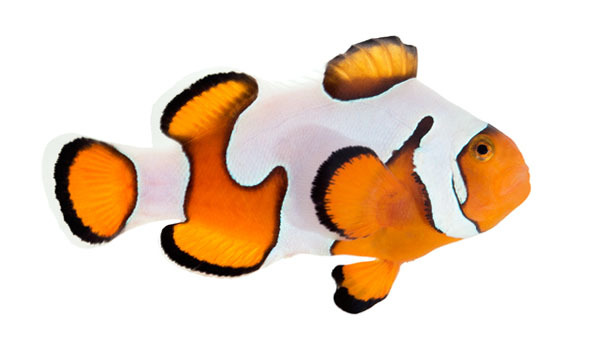 Feed no more than fish can consume in 3 minutes. Never overfeed. Remove any uneaten food. Keep unused portion in your freezer. 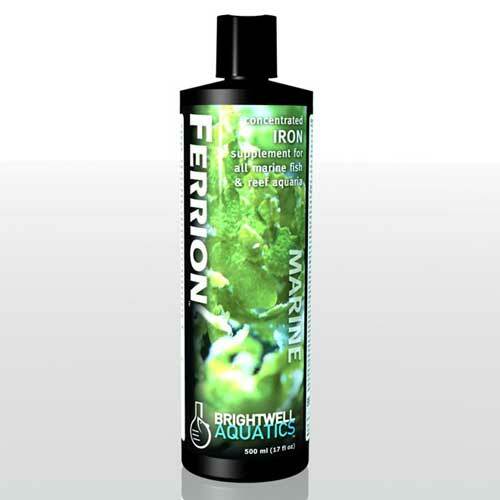 Brightwell Aquatics Ferrion - Liquid Iron Supplement for Reef Aquaria and Refugia 500 ml / 17 fl. oz. 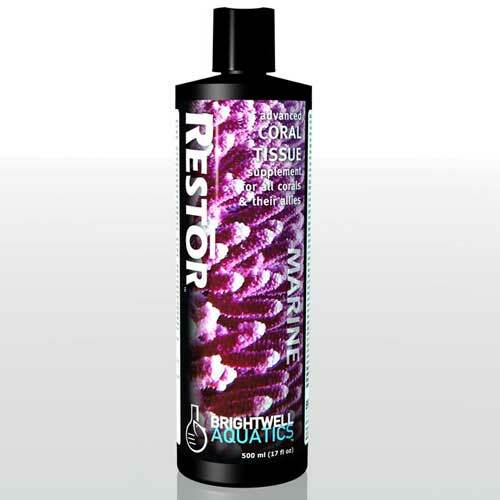 Brightwell Aquatics Restor - Liquid Coral Tissue Nutritional Supplement 2 L / 67.6 fl. oz. 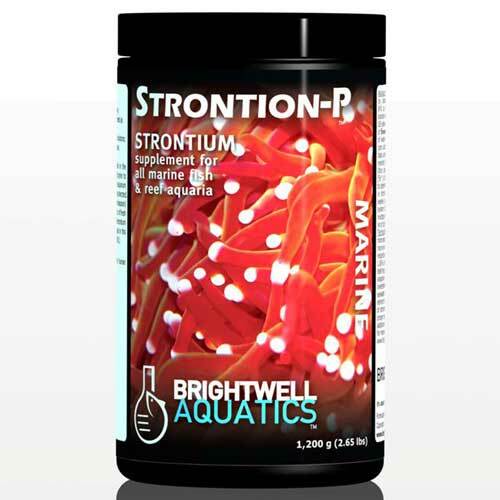 Brightwell Aquatics Strontion-P - Dry Strontium Supplement for Reef Aquaria 150 g. / 7.1 oz. Fluval AquaSky LED Strip Light, 27-Watt, 36"-48"